Learn the primitive skill of hide tanning. Participate in the ancient process of turning raw hide into leather that can be used for clothing, tools and other folk craft projects. We focus on tanning methods functional for hides of both small and large animals. Hide tanning is labor intensive, in this program you work as a team to complete a full hide of leather intended for Trackers youth camps. Everyone completes the program with a swatch of finished buckskin. Wilderness Survival & Outdoor Basics This is 7-hour course serves as inspiration and introduction into the world of Wilderness Survival and Primitive Skills. It teaches the basic skills required for our Pathfinder Certificaiton and Rangers Guild: Survival Level 1 and beyond. 9-month Immersion Join us 1-weekend a month for 9-months and immerse yourself in learning survival and primitive skills. This program gives you thorough training in the fundamentals along with bridging into more advanced arts of wilderness living. Shelter & Firemaking Overnight Shelter and firemaking are among two of the most important skills in a wilderness survival and primitive living situation. In this weekend overnight we cover each topic in great detail through expert advice and hands-on learning. Bow Making Basics This course covers crafting your own bow out of locally harvested materials and how to hew wood with simple blades and knives. 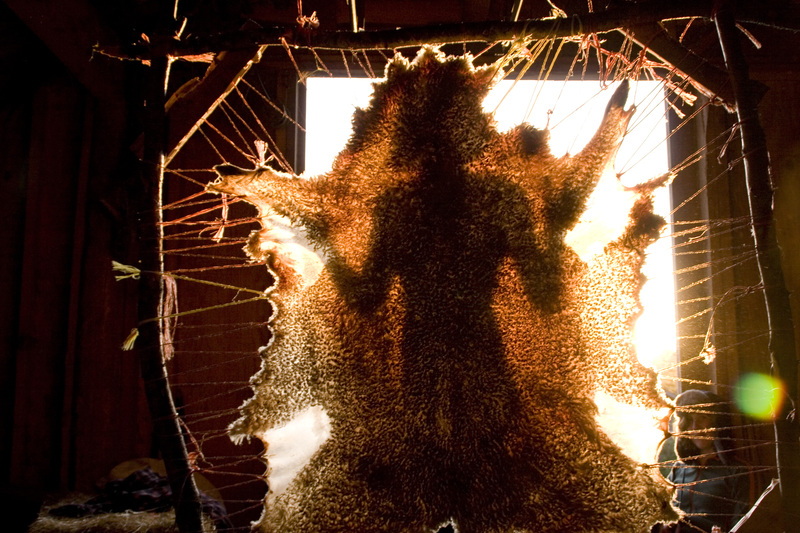 Hide Tanning Basics This 2-days teaches you the ancient art of turning rawhide into soft leather that can be crafted into clothing, tools and other DIY projects.